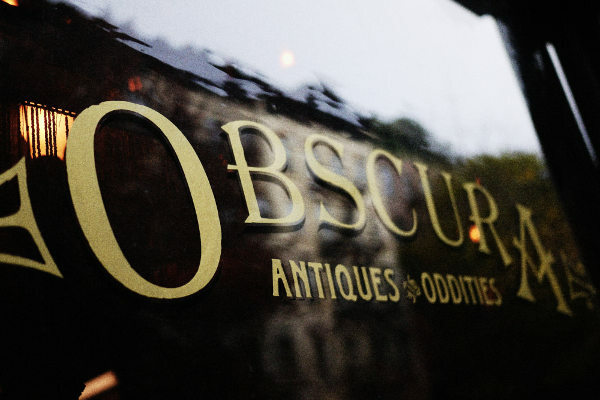 Described as “not your grandmother's antique store,” Obscura Antiques & Oddities is the setting of Science Channel’s show, Oddities. Oddities features shop owners Evan Michelson and Mike Zohn, as well as Ryan Matthew, as they buy and sell various “unique” curiosities. From exploding skulls to embalming equipment to dolls made with belly button lint, the shop has it all. In a recent episode it was revealed that Evan and Mike are vegetarian. So naturally we couldn’t wait to interview the pair. This Dish Is Veg: For those who are not familiar with Obscura Antiques & Oddities, tell us a bit about your shop. 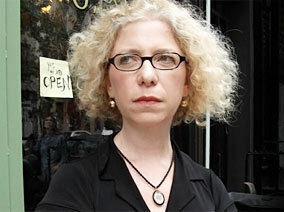 Evan Michelson: Obscura is an antiques shop with a twist: we sell items of an unconventional beauty. The emphasis is on science, medicine, esoteric paraphernalia, natural history and strange, long-forgotten crafts. As one friend of mine said: it's the stuff you didn't know you needed until you saw it. TDIV: What’s the most unusual item you have encountered? Evan: We've had so many unusual things: there was an antique anatomical model of an ear with a wax tape dispenser attached. No one's ever figured that one out. TDIV: What about your favorite? Evan: Too many to mention. I do tend to fall in love with some of our items, but I move on when they find good homes. Mike Zohn: My favorite items are usually the very old medical preparations...anything ancient and under a victorian glass dome. I just love that stuff. TDIV: Have any items ever given you the creeps? Evan: No. Nothing we handle has ever given me the creeps. Mike: I do not like bugs at all...big creepy crawly multi-legged bugs freak me out. I dont even like the pretty ones...like butterflies and lady bugs....blech. TDIV: How did the idea for the show Oddities come about? Mike: We were just doing our thing when we were approached to do the show. We had been at it for years...I guess reality TV finally caught up with us. TDIV: What’s it like having cameras in your shop while you are working? How long did it take for you to adjust to having a television show filmed in your workplace? Evan: It is intense. Our shop is very small; there's not much room even when it's empty. At first it was a bit nerve wracking, having the crew and all those cameras around, but humans are highly adaptable; soon it became routine (in a very strange way). Mike: It’s a real challenge filming in our tiny shop, especially in the summer. We have a 5 man crew...plus usually 2 of us...plus one or two customers....and in the summer, the sound from the air conditioner and ceiling fan comes over the audio...so we have to turn them off. It gets really warm and uncomfortable in the shop. It’s not easy filming the scene when you are sweating profusely. TDIV: How long have you been vegetarian? Evan: I have been a strict vegetarian for 21 years. I gave up my first meat (lamb) when I was 12 years old, but it took a while to cycle all meat out of my diet. Mike: I’ve been a vegetarian since I was 17....about 26 years...although I have fairly recently started to eat a very limited amount of seafood. We spend a lot of time on the road and sometimes on the road it’s not easy to find good veggie eats. Of course when I do eat seafood, I can’t eat a lot, and if it can be deepfried beyond recognition, all the better. Even still, I get a bit grossed out if I think about what I’m eating. TDIV: What prompted you to make the transition? Evan: Empathy. I've always loved animals, and it just seemed wrong to eat them. As a little kid at summer camp I refused to leave the nature center, where we kept a few animals: a goat, some chickens, geese, etc. I was (perhaps overly) concerned with the animals' welfare (and I enjoyed their company, too). Eventually I was given the opportunity to visit some of the small family farms in the area, and I fell in love with the animals there. There was one big fella, a steer that one family had saved from slaughter. He was like a huge dog - he came when you called him! He made a big impression on me - all the animals did. Mike: I was never a big meat eater....even as a little kid, it just grossed me out. I’ve always preferred the veggies. TDIV: Do you come across many vegetarians in your line of work? Evan: Yes. Our customers tend to be pretty imaginative, creative people. They have a lot of curiosity about the world and aren't afraid to question conventional wisdom. Wherever there's a community of creative, sensitive, thoughtful people, you'll have more than a few vegetarians. Mike: Actually yes...being in NYC there are tons of them...and even amongst the antique dealers, I find there are a fair amount of vegetarians...actually I find them all over society...seems like a good idea is catching on. TDIV: Are you currently active in any animal welfare organizations? If so, do you partake in any events? TDIV: Being in NYC, do you have any favorite eateries? Evan: There are so many great vegan/vegetarian restaurants in New York. Angelica Kitchen is just around the corner, and they've been near the top of the list for a long, long time. I live in New Jersey, where it's a bit more difficult to get great vegetarian food. There's a place called Veggie Heaven in Denville (they have a few other locations as well) that is positively addictive. Mike: I really like Hangawi, the Korean vegetarian restaurant. I also like Downtown Bakery, which is a Mexican restaurant with a lot of veggie options. Also I love Punjabi....it’s on Houston St, right across from Katz Deli.....it’s an Sikh all vegetarian take out place...its open 24 hours and always has tons of cab drivers in it. You can eat there, but the place is tiny. They usually have 4 or 5 dishes, and you order by the number that is about the dish. Super cheap too...and really good food. TDIV: Science Channel has now completed the second season of Oddities, do you see yourself continuing the show for additional seasons? Mike: The show has been a lot of fun. I'd continue to do the show as long as they would have us. Working with Leftfield productions and everyone at The Science Channel has been a great experience. Special thanks to Evan and Mike for taking the time to answer our questions. 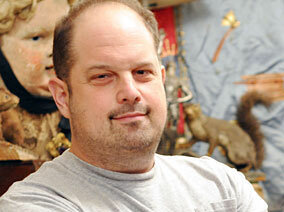 If you haven’t had a chance to catch an episode of Oddities, you really should — it's one of my favorite shows. Reruns of Season 2 are available on the Science Channel. Check Science Channel’s Oddities listings for the next airing.